As we announced earlier this year, one of our key growth initiatives in 2016 was to build out our Producer Recruiting and Development program. The result of this is our Kapnick ACE Program. The Associate Client Executive program has brought on a third ACE to the program. We welcome Drew Collins to our growing team of ACEs! 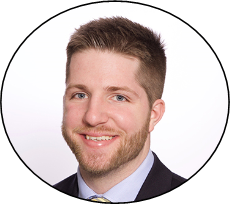 Drew started his college education at Hillsdale College and graduated from Adrian College with a degree in Accounting. Fresh out of college he worked for Saline schools where he also was an assistant for the Varsity football team. Most recently, he was the Sales Manager for Barwis Methods. Drew enjoys helping young quarterbacks improve their mechanics and playing golf in his free time. Connect with Drew on LinkedIn—just click on his picture to connect!